A. First of all, there is nothing to worry about. You will never die. The only part of you which will actually die when the change or transition commonly known as “death” takes place is the physical body…and this is nothing more than your outer shell anyway. This is a summary and overview of what H.P. 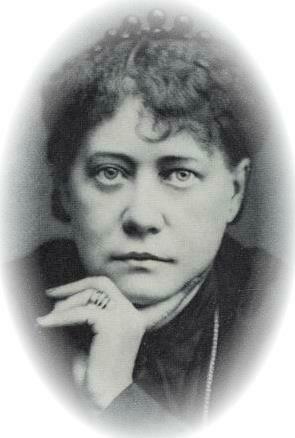 Blavatsky and her Adept Teachers have to say about death and the afterlife. If you would like to explore the Theosophical teachings on death in more detail, you are invited to take a look at the article When We Die. Other articles which deal with some of the topics mentioned here include A Right Understanding of Reincarnation, A Right Understanding of Karma, The Sevenfold Nature of Man, and The Danger and Deception of Channelling. Can souls stay in the astral world for very long time periods and refuse to reincarnate? Hello Richard, it’s possible that you may find some answers to this question in the article “What happens to people who commit Suicide?” at https://blavatskytheosophy.com/what-happens-to-people-who-commit-suicide/. Those who commit suicide and those whose lives are ended in some other violent way are likely to spend a lengthier period after death in Kama Loka (i.e. the astral world) than those who die a natural death. The reason for this is explained in the article on suicide. They will in many cases be quite conscious in Kama Loka, whereas the average person passes through Kama Loka after death in a virtually, if not entirely, unconscious state. However, even the suicide, the murder victim, and others who meet a sudden and violent end, will not stay in Kama Loka any longer than the number of years remaining of the destined duration of that lifetime. After that period they are due to pass into Devachan and to eventually reincarnate, like everyone else. Theosophy teaches that the Law of Karma and evolution is such that reincarnation cannot be refused or avoided by anyone. The only individuals who possess sufficient power and ability to – in the words of your question – “stay in the astral world for very long time periods and refuse to reincarnate” are Adepts, of either the “good” or “bad” variety, i.e. White Magicians and Black Magicians. An Adept in White Magic would only wish to stay out of physical incarnation for a lengthy period of time if they saw and knew for definite that by doing so they would be able to help, serve, and benefit humanity more effectively “from the other side” than by reincarnating. Eventually the time would come when, under Karmic Law, they would HAVE to reincarnate and they would do so gladly, since they live solely to benefit mankind and wish only to work along in the best and most suitable way with the Law of Evolution and Progress. An evil and selfish Adept, however, would have no interest in helping humanity and his motive for using his powers in an attempt to delay his reincarnation would be in order to put off as long as possible the reaping on Earth of the just Karmic consequences of his past evil actions and misuse of the Laws of Nature and to wreak havoc or cause trouble and mayhem from the astral plane. He may potentially be able to evade reincarnation for many centuries but definitely not forever…and by deliberately evading and avoiding it through such means and motives he is creating even worse Karma for himself. The difference between an Adept and an average person at death is that the Adept remains fully conscious throughout the whole process, knowing and understanding exactly what’s happening, whereas this is not the case for the average person. I hope this lengthy reply helps to answer your question in some way! I was wondering how mediums that contact the dead often are able to provide validation of current events in the life of the person being read. How is this possible, if according to theosophic teachings, the medium can only contact Suicide or accident victims, yet many people being read have relatives that died of old age. “Any type of spiritualism, mediumship, and channelling is always dangerous and detrimental, particularly to the people doing it. The Kama Rupa or astral shell which the medium may contact will most likely contain within it certain knowledge of details about the loved one(s) who that person left behind, although this would almost always be in relation to things that had already happened before that person’s death. We should emphasise, for sake of clarity, that Theosophy does not say that mediums can only contact suicide or accident victims. On the contrary, it teaches that mediums most frequently come in contact with astral shells. You may possibly like to read the article “The Psychic is not the Spiritual” at https://blavatskytheosophy.com/the-psychic-is-not-the-spiritual/. How can a psychic be able to give you information on future events which do actually come true within your life with actual names, christian and surname, whom you do meet with years later but do not at the time of the reading. Hello Glenn, many psychics are unreliable but as you say, some are indeed able to provide accurate information. I regularly have lucid dreams and can control my dreams quite well at times. When I’m “dead” I assume it’ll be the same experience since this ability is part of my soul. What’s your take on lucid dreams? From the perspective of Theosophy, a “lucid dream” is the individual becoming conscious – to some extent – on the astral plane while the physical body is in a state of dormancy or sleep. In other words, one is astrally conscious whilst being physically unconscious, although one is aware of the fact of that physical unconsciousness seeing as one is functioning on a higher level than the physical, i.e. the plane above the physical, which we may call the astral or psychic realm. It is also possible to be conscious of the state of one’s physical body and physical surroundings even while conscious and active on the astral plane, such as in a lucid dream. It is not possible for us to speculate on what your afterlife state will be like. Yet there is nothing in the teachings to suggest that one can consciously “control” one’s Kama Loka or Devachanic states. Those who are in Devachan do not even have the awareness that they are no longer alive on the Earth. The after-death states are states of effects rather than states of causes. If you haven’t already read “When We Die” (https://blavatskytheosophy.com/when-we-die/) this is recommended for further explanation and clarification. Thank you for your comment Lilith. Things are not always the way we would like them to be. In fact, they very rarely are! Your description of the state of Devachan as “virtual reality” is actually quite correct. But when we finally transcend our illusions and re-become in consciousness Who and What we really are, our experience will no longer be a dreamlike virtual reality but REALITY ITSELF. Thank you for your comments and questions Marion. For clarification on these technicalities, you can see such articles as “Chains, Globes, Rounds and Root Races” at https://blavatskytheosophy.com/chains-globes-rounds-and-root-races/ and “Human Evolution in The Secret Doctrine” at https://blavatskytheosophy.com/human-evolution-in-the-secret-doctrine/. As far as I can see, it is safe to say that, from the perspective of Theosophical teachings, as long as human beings still have Karma to work out on this planet, there is no chance of the human race becoming extinct. Theosophy says that the only hell is a life of Karmic suffering in physically incarnated life here on this Earth. The Devachanic state is a blissful and heavenly one for all. The most likely outcome for someone convinced that they are destined for hell is the possible experiencing of psychological, emotional, and psychic disturbances resulting from this, in the next life. How does a soul know if he or she is still alive or has allready passed? I notice that i cannot grasp the full contents of both the more complex but also the simpler version of the text provided. Can a soul also be born in the astral plane? Live an entire life in the astral plane? I have some reasons to inquire after this especially. Many thanks in advance for an answer…. You are welcome to ask any questions that may help you to understand more clearly. Sometimes people who hear or read about Devachan ask “How can I know that I’m not in Devachan right now?” The answer usually given is to remind the enquirer that according to the Theosophical teachings Devachan is a state of such perfect and all-encompassing bliss that the soul no longer has any knowledge or awareness of there even being such a thing as death or suffering. It “forgets” that it has passed through the process of death and hence in Devachan it enjoys an awareness only of life, peace, bliss, and joy, which is what it experiences in this heavenly “dream state” that it has unwittingly created for itself out of its own consciousness. Looking at the world around us, as also at our life experiences and memories, and the fact that we are able to think in terms of “Devachan” and conditions DIFFERENT from Devachan, is sufficient evidence that at present we are certainly still alive on Earth. But what about the intermediate state of Kama Loka, which is passed through between physical death and entering Devachan? As has been explained, the vast majority pass through Kama Loka in a wholly or predominantly unconscious state and are thus not really aware of their astral surroundings. So this too should suggest that we are not in Kama Loka currently. Hopefully this helps to answer that question. The answer partly depends on what you really mean here by “born” and “an entire life.” In terms of the Karmic cycle of birth, death, and rebirth, passed through by each human soul, the incarnations occur HERE, on the physical material plane, and not on the astral plane or anywhere else. But in terms of cases of suicide, violent death, and so forth, as described in the articles here, a soul may end up spending a large part of its Karmically allotted incarnated period in the astral realm rather than the physical, if it is separated from its physical body prematurely. Aside from this, Theosophy shows us that there are also certain beings who live in the astral plane for very extended periods of time but these are usually Adepts and their disciples and colleagues, both of the good and bad variety. If you haven’t previously read it, you may possibly gain further clarification from reading “What Happens To People Who Commit Suicide?” at https://blavatskytheosophy.com/what-happens-to-people-who-commit-suicide/. @secretdoctrine. Many thanks for your extensive answer. Truly insightful. For sure not yet in Devachan, that much is clear. I cannot answer the question for myself about Kama Loka, since i cannot determine how conscious i am at this point in time. I am fairly sure not to have actually committed suicide during this lifetime. I had a near death experience when i was about 35 if i remember correctly, an unpleasant one, but it happened naturally. I literally fought my way back, when i fell in an unnatural sleep after having exercised, from a greyish dimension, from where it was difficult for me to return. I did pick up somewhere though that having had a near death experience can allow a person to be more conscious of changes on an astral level. I had a car accident in which i was brought away by an ambulance about a year ago and since that time i noticed increasing changes and synchronicities but also involvement of darker energies. Let us say the astral world made now a full appearance. This means also amongst other things a strong spiritual regrowth , gaining of insights and a process forcing me to lay off long existing fears inside myself. It made me wonder if i had somehow died and not being aware of that fact. I had an enlightenment experience, which might have been a trial path as Blavatsky describes it, when i was in the beginning of my 20s. This lasted for about 3 months until i fell out of that state because of making a decision out of love for another but against what i felt to be the natural order of things. On 27 september i had another near death experience it seems, because on that date i had to fight back my consciousness again to “reality” from the deepest darkness it felt. It made me scared, because i realized that if i did not go back immediately i would not be able to regain consciousness.